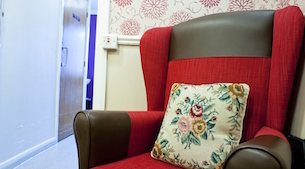 Field View Care home is residential home that is equipped and registered to care for the elderly and end of life care. We also have a day care facility on site. 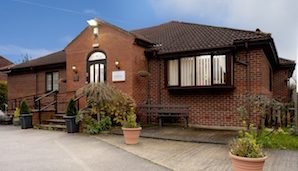 Field View care home has been providing exceptional care since 1989. 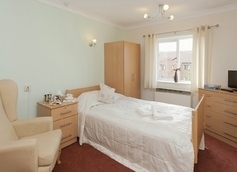 This purpose built building has 33 spacious non en-suite single rooms. In addition to this we have 2 very comfortable lounges, a dining room, attached garden and a Kitchen with a hygiene rating of 5. 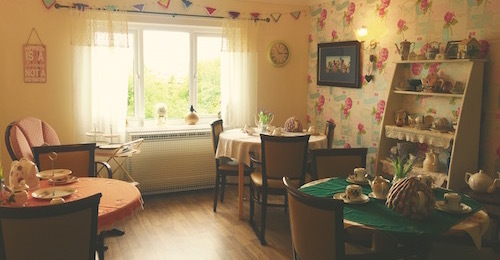 If sitting in a cosy little haven and taking a trip down memory lane with fellow residents or visiting relatives sounds like your idea of a relaxing afternoon then you will love our homage to the traditional English Tea Room in Field View Care Home. The Field View tearoom is very popular with our residents and visitor’s alike, big windows provide plenty of natural light and the décor incorporates our residents’ personal effects. 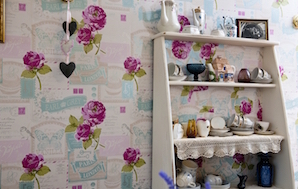 Fine bone china tea sets, an old gramophone and some antique furniture all belonging to our own residents have helped us make this room feel welcoming and homely, the very ethos of our care homes. Best of all, the tearoom is open all day and delicious refreshments are at hand when requested. Field View care home has it’s own dedicated activities coordinator and also offers additional services like Hairdressing & Private Chiropodist. Outside entertainers are a regular feature in our activity schedule and are a big hit with our residents.